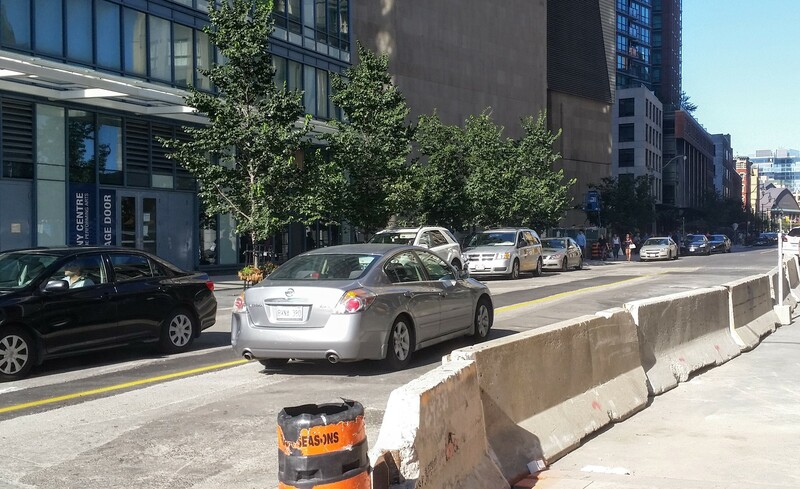 The Esplanade opened last week to 2-way traffic from Yonge Street to Scott Street. Over the coming weeks the work to construct the finished sidewalk in front of Backstage will commence. 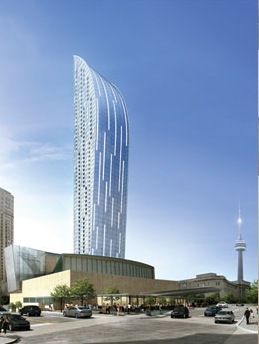 Though we note, as posted on the street, the City of Toronto will be closing The Esplanade from Market Street to Scott Street, from 8 am, September 7 to 7 am September 8. 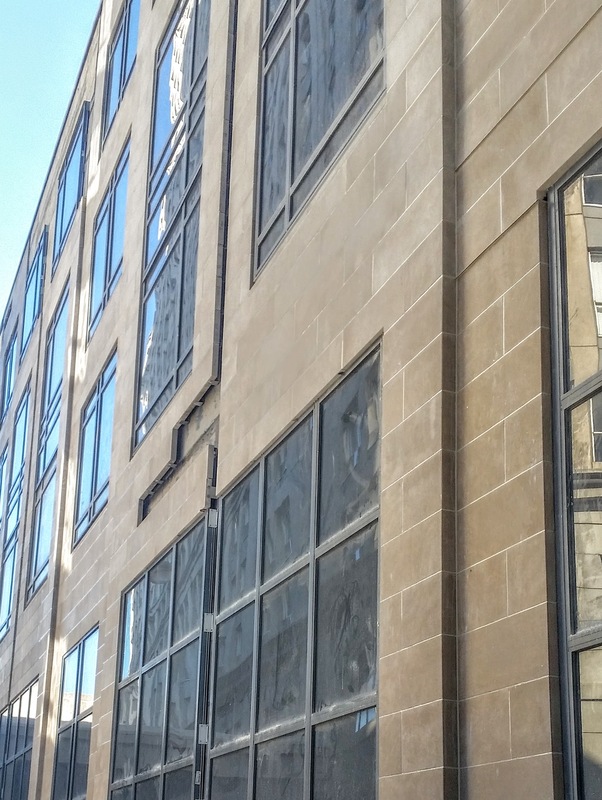 Limestone cladding on the podium is mostly complete with some remaining finishing still be done. 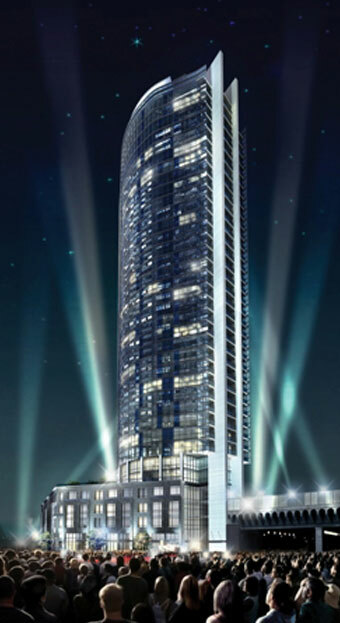 On the tower exterior crews have reached with porcelain tile cladding on the west side is approaching the top floors of the building. 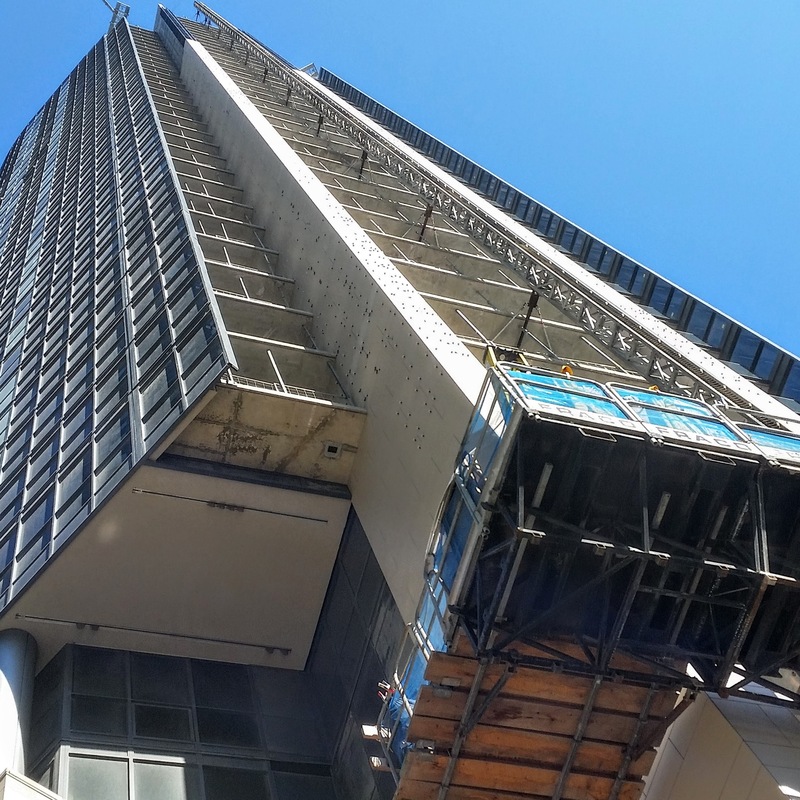 On the east side of the tower, bracing and insulation is completed and the installation of porcelain tile will commence soon. 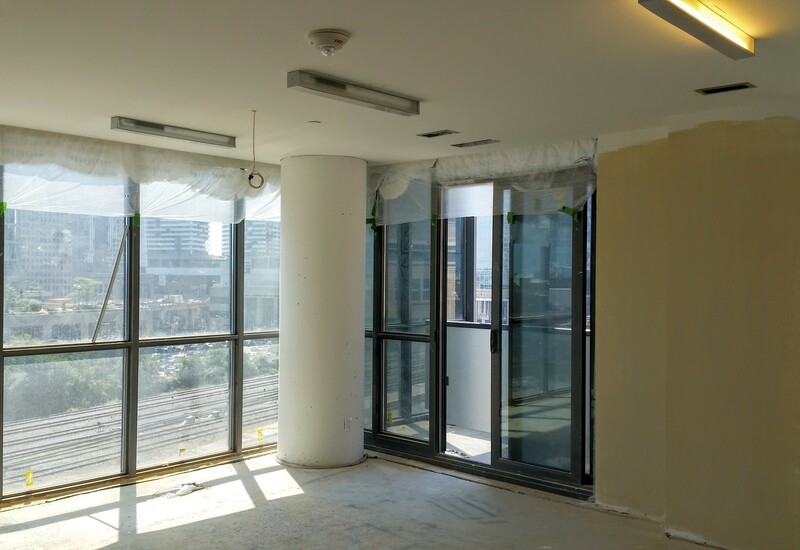 Inside the building, completion of the amenity spaces continues to progress. Suite inspections continue for the few remaining unoccupied units as these are readied for upcoming move-ins. 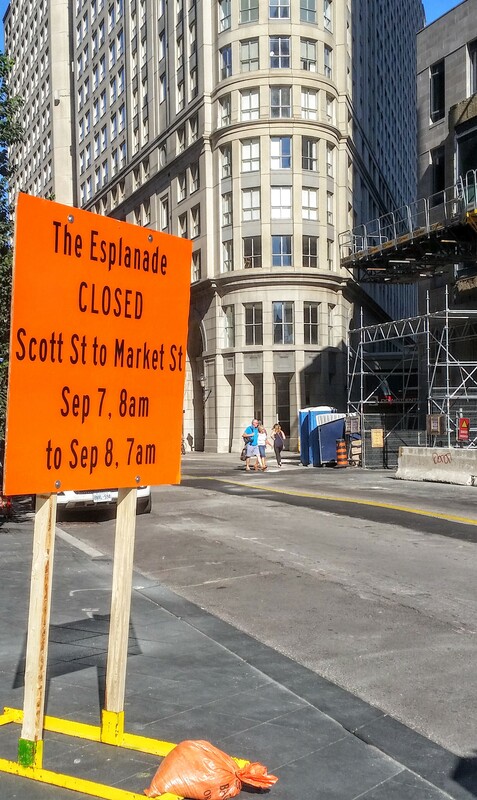 The Esplanade closed Market to Scott Street September 7, 8 AM to September 8, 7 AM.